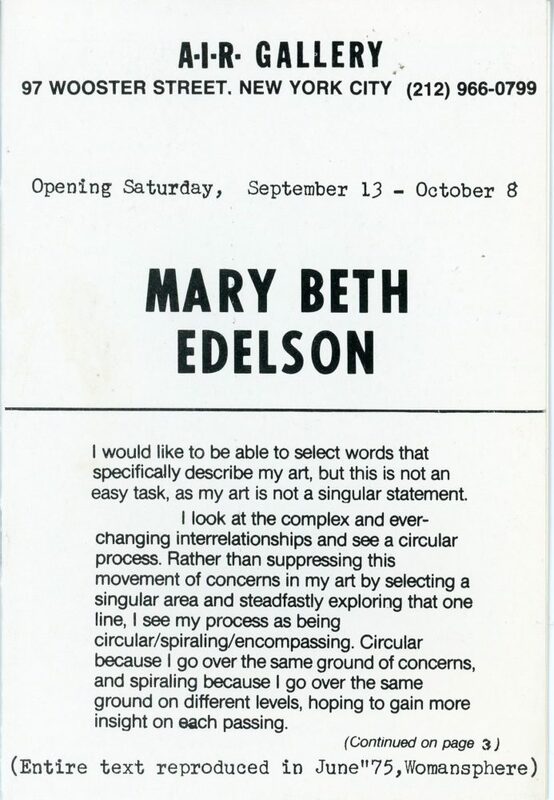 Booklet on Mary Beth Edelson’s work, accompanying her exhibition Giving Myself A Five Year Retrospective, at A.I.R. 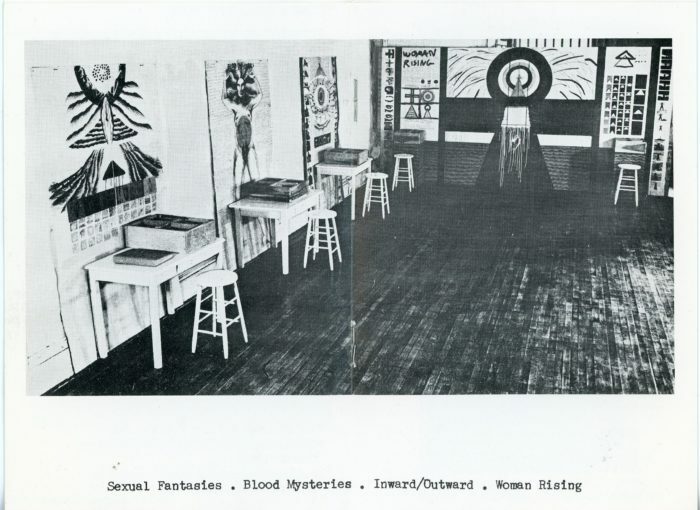 Gallery, September 13 – October 8, 1975. 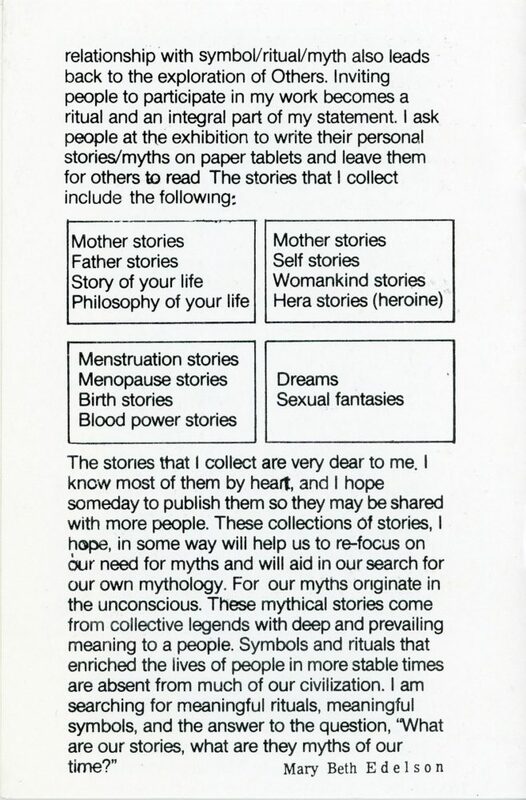 8 pages, including text by the artist and 3 black-and-white photos of her work. 4 x 6in. 8 x 6in when open.